Today I am having some quiet time at home with no children to prepare myself for the Easter celebration tomorrow. It is a beautiful, sunny day and the grass is mowed thanks to my oldest daughter. My youngest helped me sell some items on Craigslist, which has helped with spring cleaning as well. Above you can see the artwork of my students in preparation for Easter. We made the palm leaves for Palm Sunday and the crosses as we discussed Good Friday. The crosses were made with painters tape and the idea was to dab the paint with the circular sponges with handles, but my students all had other plans, which is okay. I just laughed at myself because it was one of the very few times that I made an example for them to see of what it might look like when it would be finished after the tape was pulled off. I have also been hard at work this week on my Teachers Pay Teachers shop, adding lots of alphabet goodies, including a massive bundle of everything alphabet that I have created so far. 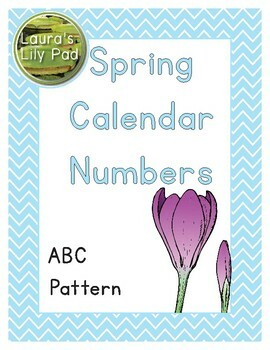 Don’t forget to check out my spring calendar freebie, even if you just want to save it for next year. I hope to add a bunch of new calendar sets soon, so if you have any in mind, please let me know. I am currently working on one with insects. As I have been busy getting ready for my church’s Vacation Bible Camp this weekend, I have also been making my wish list for the Teachers Pay Teachers back to school sale. You can click through to my shop through the awesome graphic below, made by Glitter Meets Glue Designs. Once I make it through Vacation Bible Camp, I need to finish up a few products that I have started that I want to use during this new preschool year. I am working on a new set of dot marker printables that I am very excited about. You can see a draft of one of them below. I am also working on some alphabet based emergent readers to add some variety to the ones I already use in my classroom. So far I have added one set to my shop. I am very happy that I spent all of last year creating my Question of the Day Bundle because now I just pull them out each week and am ready. No more scrambling at the last moment before kids come in to think of a question or scrambling to find my list of questions on my plans so I can put them up. I just grab my printed, laminated sets for each day and put them in my pocket chart. Of course, I will have at least one more set of questions get added to the bundle this year because you know that themes are never exactly the same from year to year and I spy at least two new ones this year that we did not do in my classroom last year. If you have any themes you don’t see in my Question of the Day Bundle, please be sure to let me know so I can add them.